The Rush Summer League offers exciting 7 v 7 matches in a league format. Games will be every Monday and Wednesday for 6 weeks and will be 2 x 25 minute halves. The Rush Summer League is open to teams of all ages and ability levels from beginner to advanced, from within or outside of the Rush club. The goal is to provide a fun, relaxed, but also competitive environment focused on player development, where players can maintain and improve their technical and tactical abilities. Substitutions will be unlimited and made during the flow of the game in order to maximize each player’s development and experience. Roster maximum 12 players per team. Teams should provide their own coach or manager. If you are an individual player who wishes to participate in the 7 v 7 Summer League please complete the following form by clicking here. Participation is not guaranteed and is based on the needs of registered teams. Rush Group Training offers a structured practice session every Tuesday and Thursday for 6 weeks. Rush Group Training is open to individuals of all ages and ability levels from beginner to advanced, from within or outside of the Rush club. Players will receive instruction from Rush Academy coaches in groups that will be built by age and ability. The goal is to provide a structured training environment where players can maintain and improve their technical and tactical abilities. The sessions will begin with a focus on individual technical execution to improve each players individual comfort level and proficiency with the ball, and will progress into tactical application of a specific topic in game like situations. Rush Group Training will be 1.5 hours every Tuesday and Thursday for 6 weeks as outlined below. Goalkeepers will receive specialized training under the direction of the Goalkeeper Director Peter Moore. The Goalkeeper Academy is open to keepers of all ages and ability levels from beginner to advanced, from within or outside of the Rush club. Keepers will receive individual instruction from Rush Academy goalkeeper coaches in groups that will be built by age and ability. 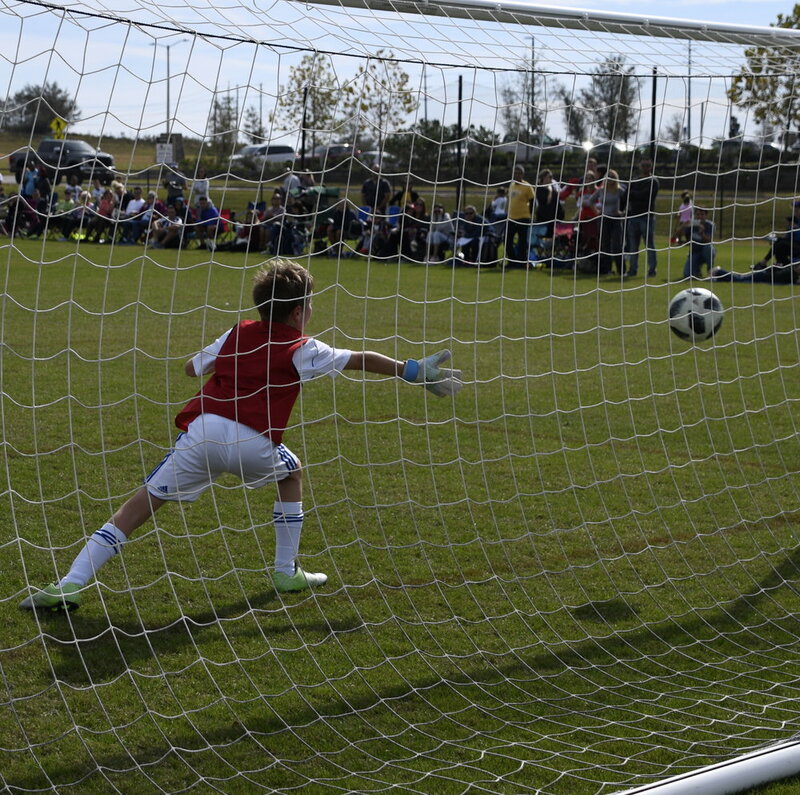 Each session the keepers will work on a specific topic giving them multiple repetitions to perfect the technique. Focus will be on correcting and maintaining technical application while also building agility. Technical aspects covered will include correct stance, ball collection, shot stopping, diving, breakaways, distribution, crosses and angle play. Keepers will also be incorporated into the Finishing Academy for match like situations. The Goalkeeper Academy will be 1.5 hours every Tuesday and Thursday for 6 weeks as outlined below. The Finishing Academy will provide specialized training with a focus on improving each player’s technical execution and tactical application in attacking situations. The Finishing Academy is open to individuals of all ages and ability levels from beginner to advanced, from within or outside of the Rush club. Players will receive individual instruction from Rush Academy coaches in groups that will be built by age and ability. Each session will focus on the art of scoring goals and will focus on multiple topics related to finishing. Players will be engaged in finishing exercises which will provide numerous repetitions in order to perfect the technique of finishing. The Finishing Academy will be 1.5 hours every Tuesday and Thursday for 6 weeks as outlined below. The Mighty Mites program is a unique opportunity to introduce your child to soccer.Mighty Mites will give your child a great start to this lifetime sport and will also prepare them for Rush U-5 Developmental soccer. The idea is to introduce children to the game of soccer by developing their motor skills, ball skills, and concepts of small sided games. Sessions last for 45 minutes and are formatted to allow parents to participate with their children during the session if required. The emphasis is very firmly on FUN! We feel that kids will be more comfortable and develop faster in this type of environment.